Provided in a pack of three stylish pairs of gloves, the Briers Allium Cotton Grip Gardening Gloves (Pack of 3) B8681 are ideal for protecting your hands while gardening. The colourful gloves feature breathable cotton backs to help keep your hands cool while you work, and the PVC dots on the palms improve your grip while weeding and handling gardening tools. 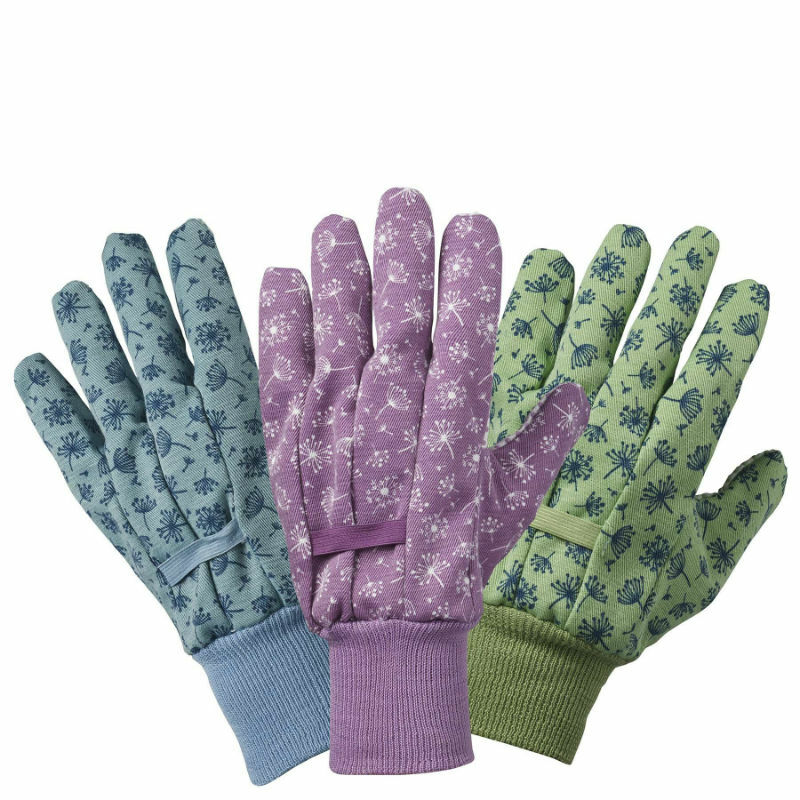 The Briers Allium Cotton Grip Gardening Gloves (3 Pack) B8681 are available in a single size that should be suitable for most users. Please measure the circumference of your hand around the knuckles (excluding the thumb) with your hand open and your fingers together, and the length of your hand from the tip of your middle finger to your wrist.